4 days chimpanzee tour Kibale and Ngamba Island. | Chimpanzee tracking and Trekking in Uganda. Our 4 days chimpanzee tour Kibale and Ngamba Island takes you to the best places to see and view chimpanzees in Uganda. Apart from chimpanzee tracking, you also get an opportunity to learn about tea farming in Uganda. This Uganda tour starts from Kampala Uganda and ends in either Entebbe or Kampala. It can take place any time of year, so you are free to select the preferred date. Availability of the trip is highly dependant on availability of chimpanzee permits. This the best safari option for those who have a passion for chimpanzees. Chimpanzee tracking safaris and Ngamba chimpanzee viewing tour. Day 1: Transfer to Kibale forest | Tea plantation visit. Early morning you will have breakfast and transfer to the park headquarters for a briefing before you proceed to the forest. After through the forest you will start your search for the chimpanzees. and after continue for the chimpanzee trek. Once you meet the chimpanzees you are allowed to spend 1 hour following them and taking pictures and then later return to the starting point. Day 4: Visit Ngamba Island. In the morning at exactly 7:00am our tour guide will pick you for a briefing and drive you to Lake Victoria port. While at the port, you will get a speed boat to Ngamba which should about 45 minutes away. On arrival, you will spot various bird species like the African open billed stork, fish eagles, yellow billed dark, king fishers, as well as monitor lizards along the Victoria bank of the island. 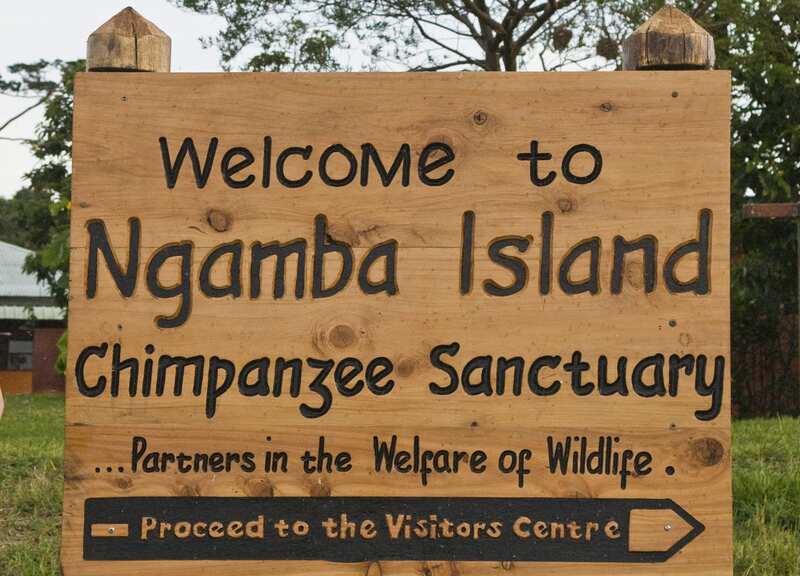 You will be taken to the visitors Centre for an introduction and briefing about Ngamba island chimpanzee sanctuary.